Earlier this week, I posted on Amber LaBau's blog about some tips and tricks for printing photobooks. 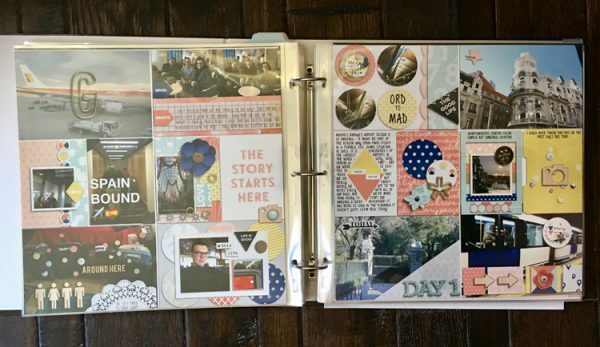 One of the things that I miss when I made the switch to digital scrapbooking in 2014 was the ability to have pages done "in real time"... or at least in chunks like I had been doing with my Project Life albums in 2012 and 2013. My family loved to look at these books and flip through all the photos and relive the memories that they represented. I was able to keep up pretty well during those 2 years and I loved it. Part of the reasons I moved to digital was the ability to scrap traveling or commuting so that I could scrap current memories. Plus with photos in digital format it was 1 less step to take to take in my process. So let me talk about my evolution of getting my digital creations from my computer to a physical version that my family and friends can enjoy. Now I don't often have such a fabulous trip to add to my yearly album ( I wish... right??) but I couldn't jam the whole year into 1 album so this was my compromise. I can still print these into a separate photo book later on if I want - but more on that later. In 2015, I decided to move to printed 10 x 10 photobooks in lieu of printed 12x12 individual pages slipped into page protectors. I saw how hard it was for my older relatives to look at those big and heavy books - plus I still had so many scrapbooks I wanted to complete (both older and future stories) that I could not imagine where I could store all those albums - you see I already have about 40 12x12 albums in IKEA Billy shelves (similar to the current Kallax - they don't make this size of the Billy anymore :-( ... and I easily have 20+ albums I wanted to create of older stories, heritage, vacations etc that I had rolling around in my head plus 2 albums per year for Project Life adds up quick! 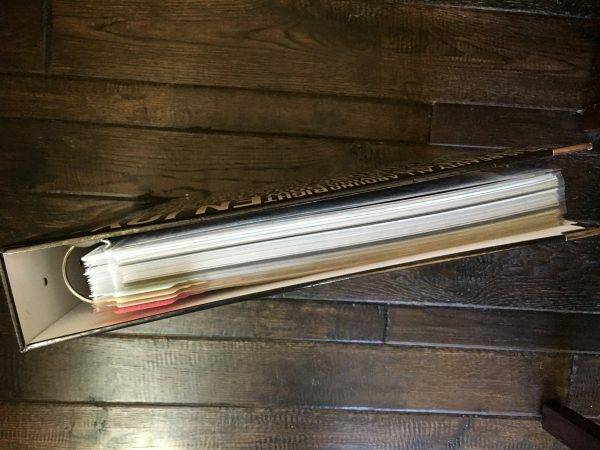 See how thin this 50+ page 10x10 book is! 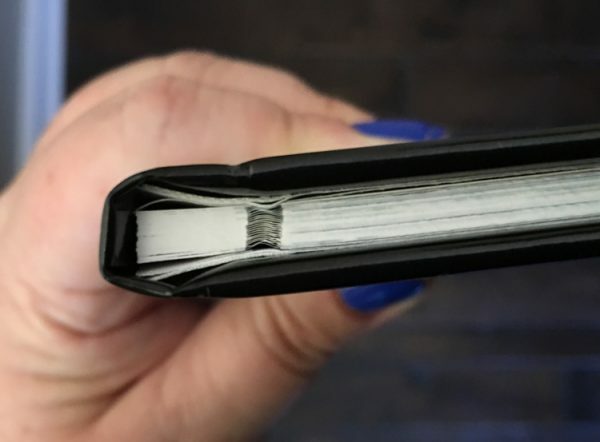 I save all my pages to my normal storage places first, see this post on Amber's blog regarding the importance of backup. Next step in my process is to upload to my preferred photo book provider. I have used Shutterfly to date on all my books and I have been fairly happy with the results. 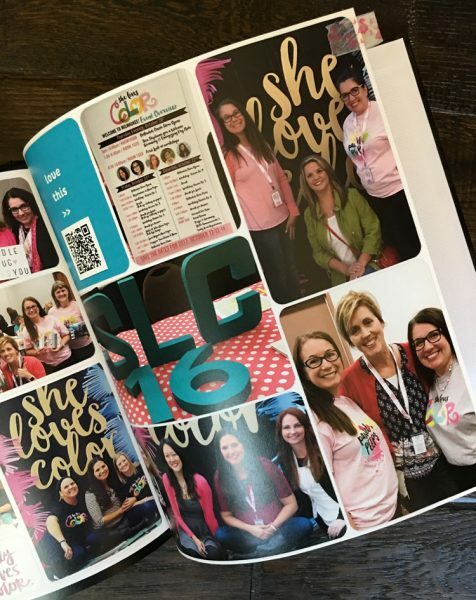 I know there are other options out there - including printing from the Becky Higgins Project Life app, Adoramapix, Mixbook and Picaboo. They have all have different page limits, costs and quality issues that you need to account for. 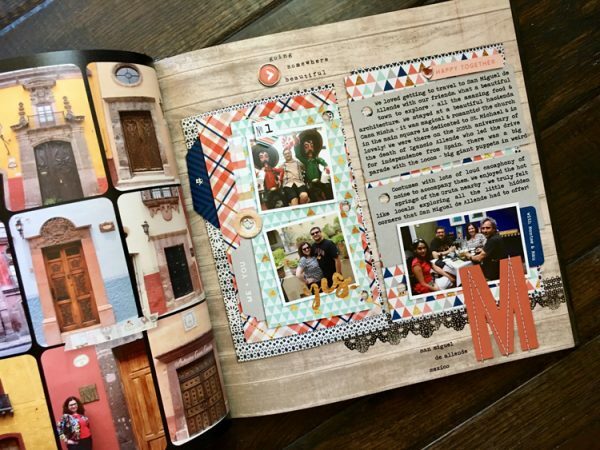 But there are some tips I have learned along the way printing my photobooks/scrapbooks that I will share to make your process that much smoother. 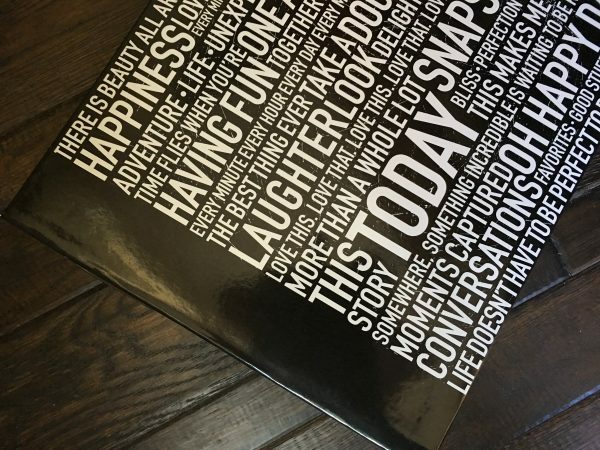 Plus I have come up with a few ways to incorporate some fun "paper" elements into my printed photobooks as well. I have used actions in the past to help create consistent borders to avoid bleed issues when printing out my books. 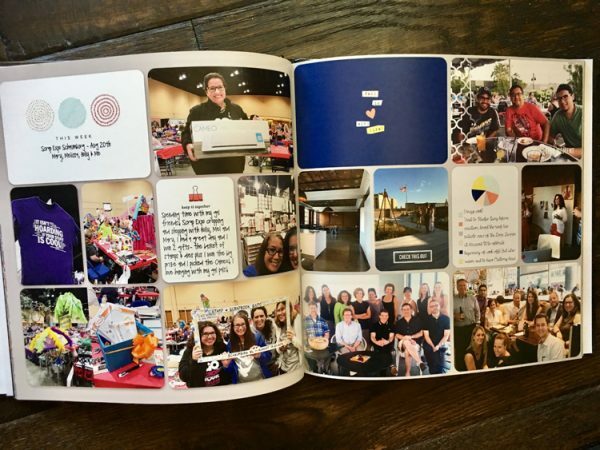 Studio Wendy has some great actions to create bleed for 10 x 10 books specifically for Shutterfly. She has some great options for other sizes and printers as well. But what if you don't want to use an action - what are your options? Page on right doesn't use an bleed action - and the borders are inconsistent. I am ok with this sometimes, but other times not. Below is the comparison of the lay flat versus non lay flat. Lay flat does help with the bleed of the center, but does not necessarily adjust for borders on top, bottom or sides. 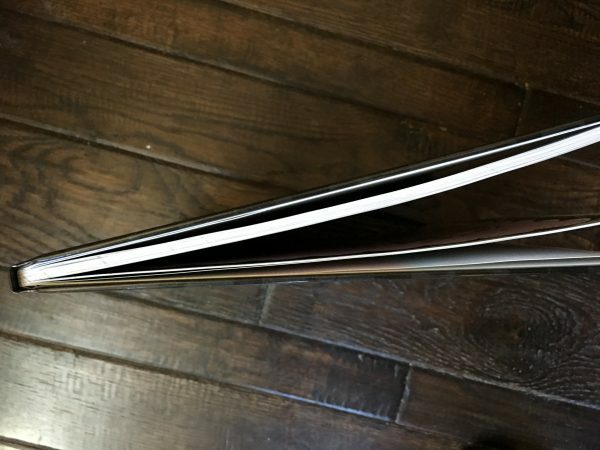 There are several printers that offer lay flat options - but generally they are more expensive than standard binding - sometimes much more expensive. 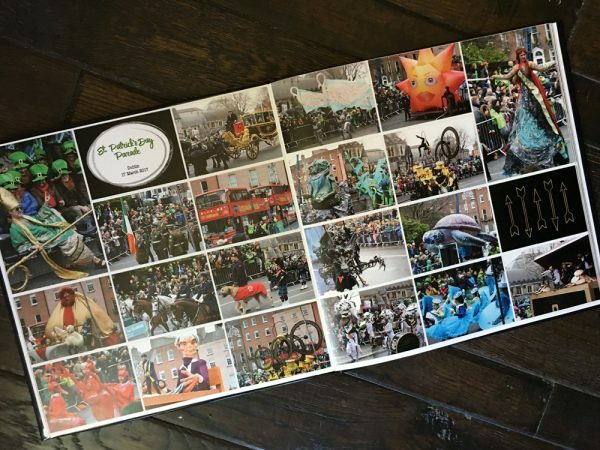 This expense might not be worth it for you - or may only be worth it for special event books - printing can be a very personal decision based on your budget and goals/objectives. 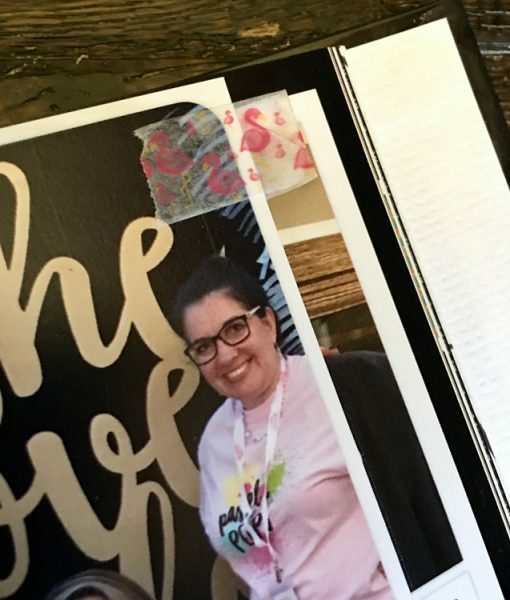 The way I am currently dealing with bleed issues is to adjust all the pages after they are placed in my "draft" Shutterfly book. If you go into "Advanced Editing" you can adjust 1 page to 95% or 90% and have this adjustment applied to EVERY page in your album. I don't mind the black border around every page and it resolves the bleed issue on every page. 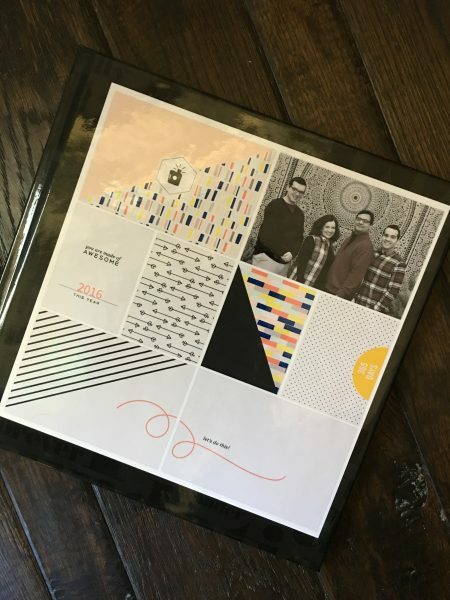 Other photobook printers have similar tools which can be used to help create a consistent border. 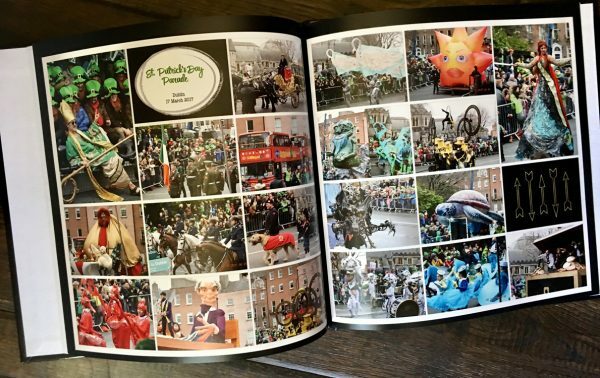 Now this book above and below is a special book I did for my son's Marching Band trip to Ireland. My hubby and I went as well - but did some different activities along with some of the same. I created 2 photobooks - with about 1/3 of the pages the same and 2/3 different. Lay flat option - excellent at the center but can still cut off top, bottom or sides. 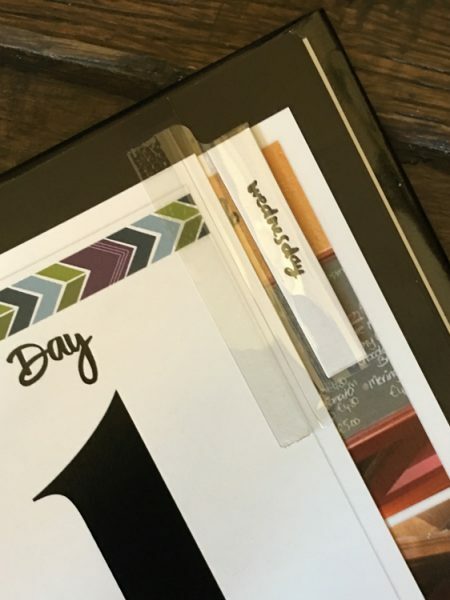 Finally, I have used both washi tape and some label holders to help create dividers within my photobooks for interest or to highlight a special section. 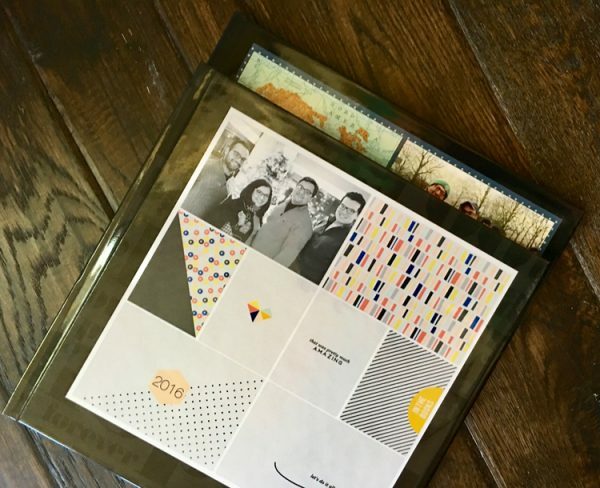 You can do this by using a 6x8 template or even a large single 6x12 template. Hope this gives you the confidence and motivation to go out and get your pages printed in photobooks or even in single pages - whatever form you decide. 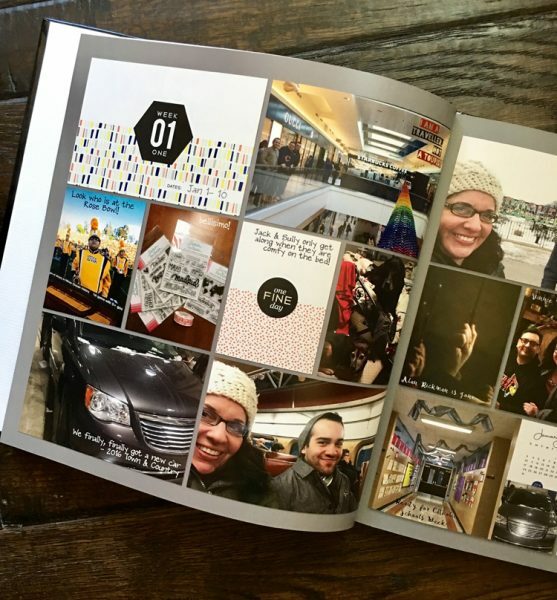 The most important thing you can do is to get your pages out of the cloud and into a physical form where everyone can see your beautiful work and share your memories. As always if you have any questions - or there are other things you would like me to share about my process - please let me know.